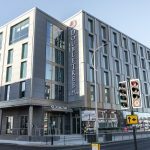 THE first four-star hotel to open in Hull has used EQUITONE [linea] fibre cement facade material to provide an aesthetic that reflects the city’s industrial heritage. The £25 million DoubleTree by Hilton provides 165 modern hotel rooms and suites, as well as an event space with the capacity for up to 1,000 guests, steakhouse, rooftop bar and fully-equipped fitness centre. 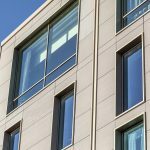 EQUITONE [linea] was specified for the hotel’s facade in order to fuse Hull’s manufacturing and maritime industrial past with its contemporary City of Culture outlook – an accolade it was awarded for the duration of 2017. Cathal Travers, senior architect at Aros Architects, based in London, said: “As the hotel is located in the heart of the city centre and is in the perfect destination for getting to many of Hull’s top attractions, we wanted the facade of the building to reflect both the city’s heritage and where it wants to be in the future. More than 140 of the hotel’s rooms and suites were built as complete units using shipping containers in China before they were shipped to Southampton and transported by road to Hull – ready to be lifted into place by crane as building blocks. Cathal added: “This process saved months of construction time – usually something like this would take around six months to build, but the hotel was ready to go just three weeks after the containers had arrived in Britain. The unique 3D, through-coloured EQUITONE [linea] facade material displays a linear surface that highlights the raw inner texture of the core fibre cement material. Every moment of the day, the changing angle of the daylight gives EQUITONE [linea] a different aspect. 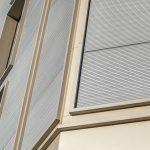 For more information on EQUITONE facade materials, visit www.equitone.com.